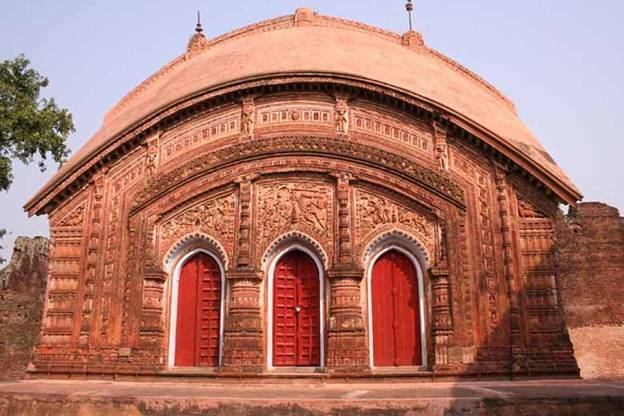 Bishnupur is a town of terracotta temples, legend weavers and Bishnupur Gharana of Hindustani Classical Music. 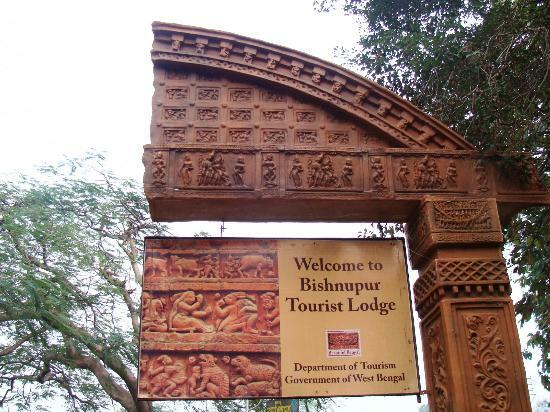 Just 132 km from Kolkata, Bishnupur was the capital of the Malla Kings of Mallabhum for almost a thousand years. 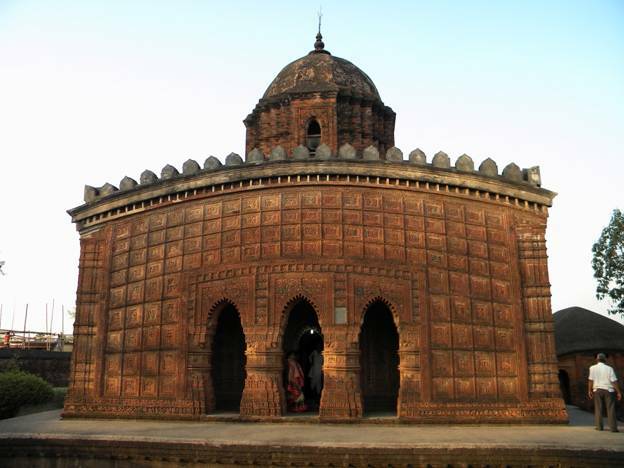 The patronage of the Malla Kings made Bishnupur one of the principle centers of culture in Bengal. 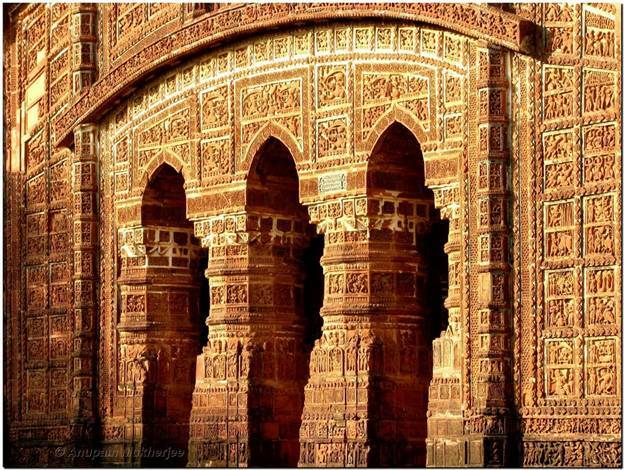 Bishnupur developed a unique form of architecture and has perhaps the most brilliant and detailed terracotta work in Eastern India that has endured the ravages of time. 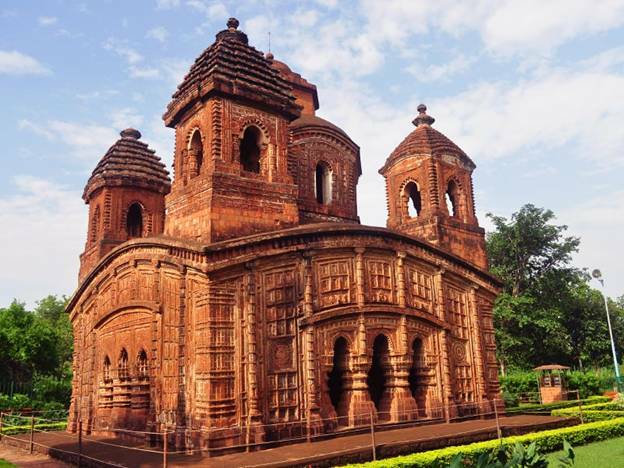 The Malla rulers were Vaishnavites and built the famous terracotta temples. 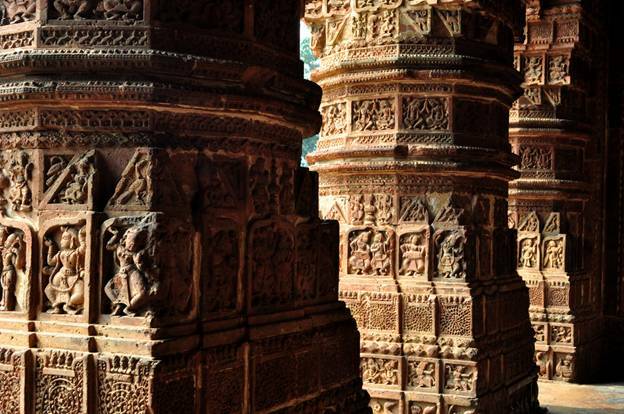 The terracotta temples here are the best specimen of the classical style of Bishnupuriya architecture. Baluchari Saree, another indigenous product of Bishupur, is an exquisite creation of Bishnupuriya weavers. 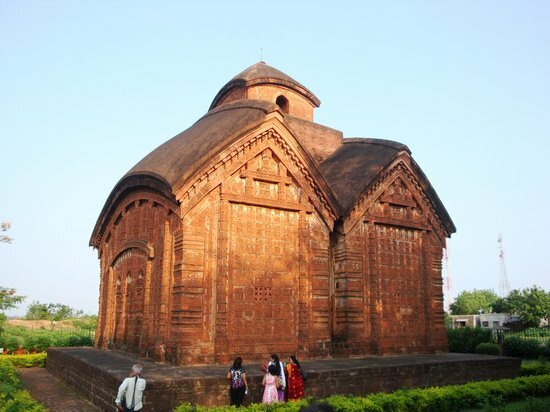 Last week of December is the best time to visit Bishnupur . The Bishnupur Festival is a unique experience. 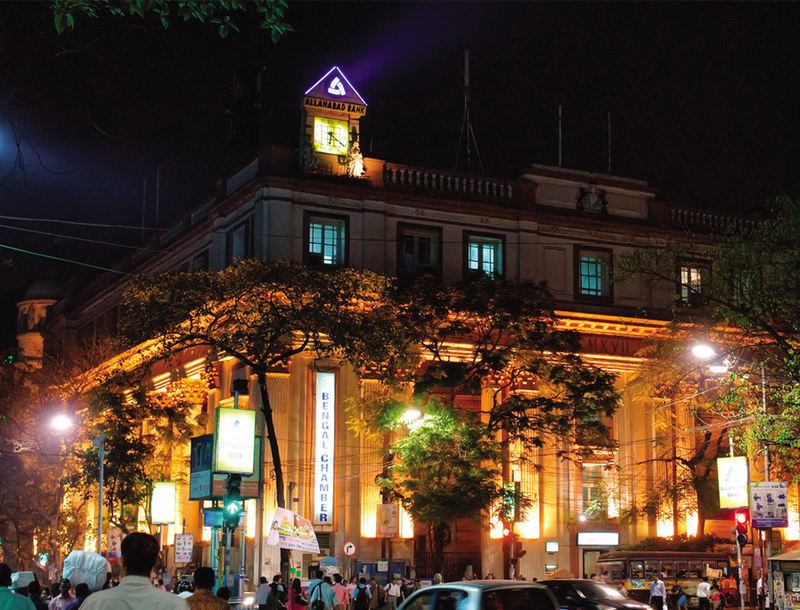 Every year the weeklong festival starts on 27th December and ends on 31st December. 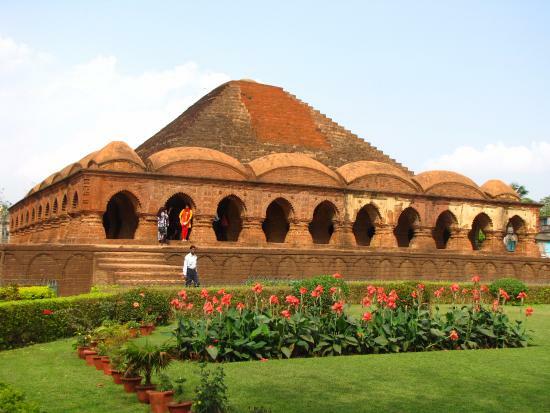 Bishnupur is very hot from April to September but experiences pleasant weather from October to March. 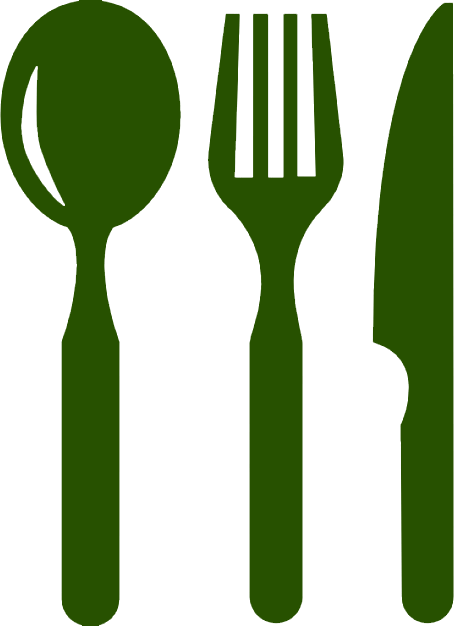 The month of March is significantly beautiful as the place is dotted by beautiful red Palash ( seasonal flower) during the spring season. 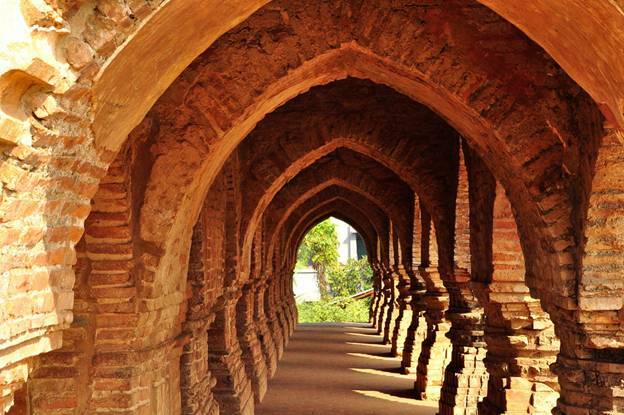 Rasmancha is the oldest brick temple and unique in its structural design. It has a cubic shrine, pillared corridors on three sides and a pyramidal roof. It was built in the late 16th Century. Built by Malla King Raghunath Singh in 1655 AD, the temple made of laterite bricks has an appearance of two thatched huts joined together and surmounted by a single tower. 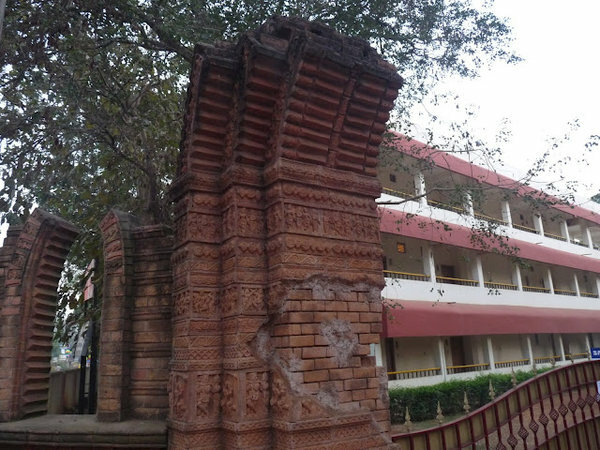 The temple's roofs and walls have classical Chala style of architecture in terracotta. 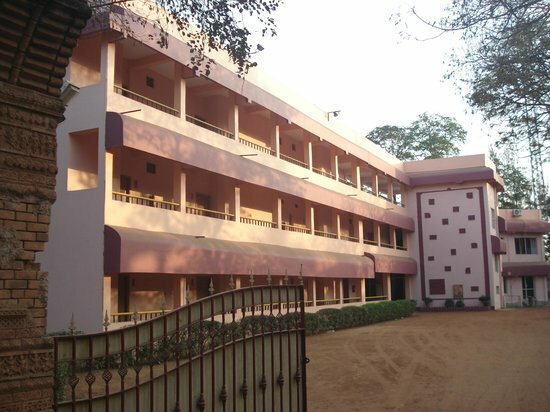 The panels and walls depict the lives of the Royalty and stories from Epics. Dalmadol/Dalmardan cannon, is said to be built by Madanmohan himself to defend his kingdom from the Marathas in 17th Century during King Gopal Sing's reign. The cannon is 3.84m length and its inner diameter of the muzzle face is only 29 cm whereas the outer diameter is 66.5 cm. The cannon was built by 63 rings, which were formed in three concentric layers of iron. It represents the glory of Malla Kings of Bishnupur. 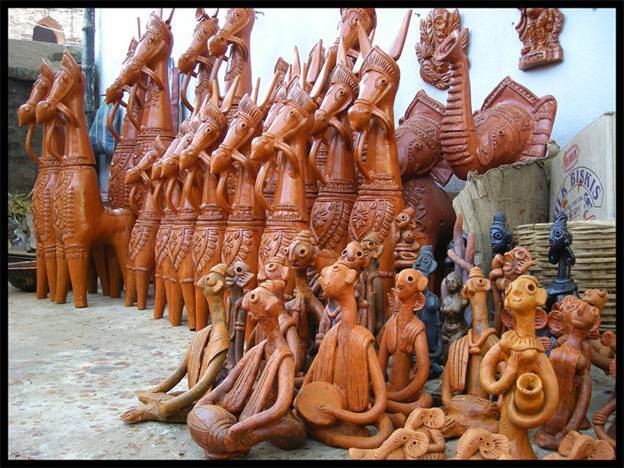 The festival is a perfect blend of the past and the present traditions and is characterized by exhibition and sale of unique handicrafts, sculptures, hand woven and printed cloths. Another attraction of the festival is the musical performances. Every year the weeklong festival starts on 27th December and ends on 31st December.